Just in time for its 40th anniversary, Pink Floyd's Dark Side of the Moon has been chosen for preservation by the Library of Congress, along with hits by Simon and Garfunkel, Chubby Checker and the soundtrack to Saturday Night Fever. They're among 25 recordings being added to the National Recording Registry for their cultural, artistic and historic importance, The Associated Press reports. Pink Floyd's 1973 album, which received the highest number of public nominations for the registry, spent more than 700 weeks on the Billboard albums chart. The library called it a "brilliant, innovative production in service of the music." 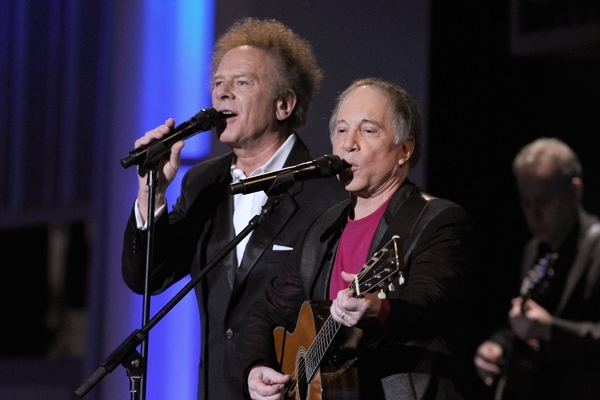 Paul Simon wrote "The Sound of Silence" about the 1963 assassination of John F. Kennedy, and while the song initially flopped as a single in 1964, an edited version the following year became a hit that helped anchor Simon and Garfunkel's career. Simon later performed the tune in 2011 to mark the anniversary of 9/11. "When you look at the little mesh, wire microphone . . . and you address people on the other side of the mic, you hope that your performance will be special, and you hope that it will have lasting power," Garfunkel said in response to the song's inclusion. Checker had a Number One hit in 1960 with "The Twist," which the library said became a symbol of energy and excitement in the Sixties.